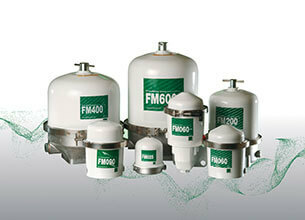 MANN+HUMMEL is a global leader in the manufacture of bypass centrifuges. 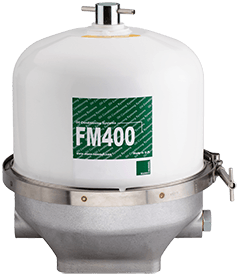 Formerly Glacier Centrifugal Oil Cleaners, MANN+HUMMEL centrifuge technology is adopted by many of the world’s leading diesel engine manufacturers and has been extensively used in the marine sector for over 40 years. Centrifuge technology has been proven to remove contaminant particles down to a sub micron size, which is advantageous to both engine manufacturers and users. The benefits are multiple and the result is reduced engine downtimes and a lower total cost of ownership. MANN+HUMMEL centrifugal filters offer a high efficiency, bypass oil filtration solution for diesel, gas engines and industrial applications. Driven by oil pressure alone, the internal rotor is capable of generating centrifugal forces in excess of 2,000 g. Under these forces it is possible to remove sub-micron contaminants including; soot, silicon, wear metals, and other foreign abrasive particles.